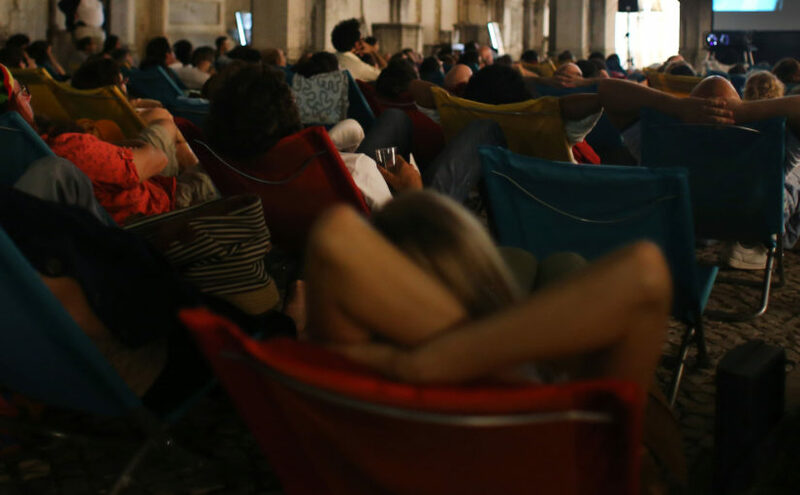 FUSO – International Video Art event of Lisbon is nowadays a reference in the Portuguese video art world. Since its first edition it has taken the role of a unique and pioneer initiative in the confluence of visual arts, dance and performance, inviting the public to enjoy unique video-art artistic experiences outside the normal context of galleries and museums. Each year, in addition to the works selected by the programmers invited by the artistic director Jean François Chougnet, FUSO makes an to Portuguese artists, a fundamental aspect of this festival. FUSO has the collaboration of some of the most prestigious national and international institutions, making this initiative a real meeting platform, opening borders for national artists and to the dissemination and international implementation of their work.